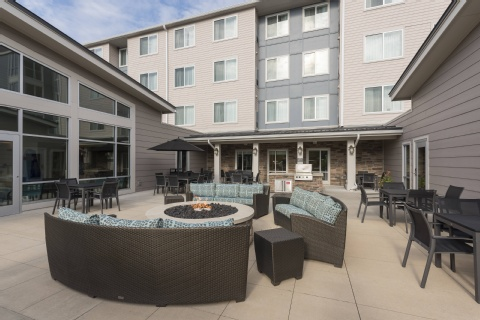 With glowing reviews for its free breakfast comfortable beds and overall quality it's no surprise that the non-smoking pet-friendly Clarion Inn & Suites Grand Rapids ranks high in popularity among our guests visiting this city for business or leisure. 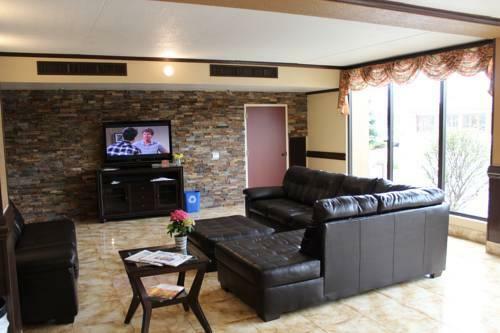 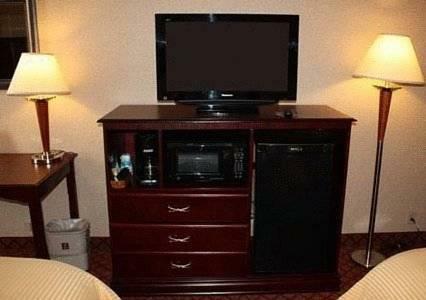 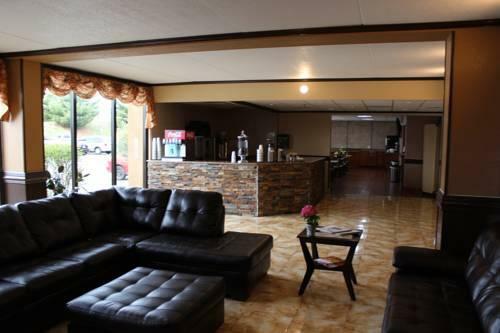 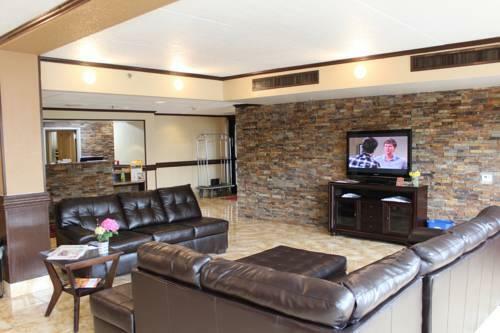 Located near the airport its convenience is attractive as well. 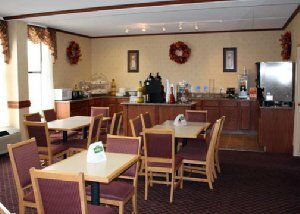 The two-level hotel welcomes guests with complimentary coffee and cookies in the marble-tiled lobby and then rolls out a free hot breakfast daily and free dinner Monday through Thursday evenings. 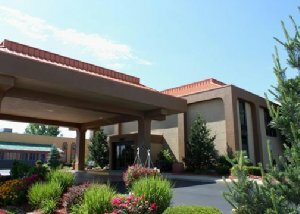 The amenities include modern conveniences such as free Wi-Fi access throughout the hotel a resort-style outdoor pool (open seasonally) a well-equipped gym and a business center. 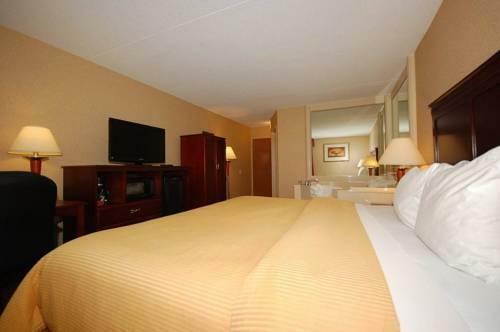 All 107 simply furnished rooms include 32-inch flat-panel TVs plush mattresses and down pillows work desks with ergonomic chairs microwaves mini-fridges and coffeemakers. 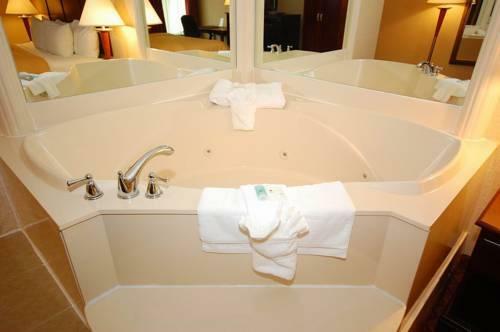 Suites include kitchens; some rooms have jetted tubs. 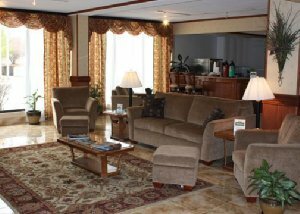 Pets are welcome for a small additional fee. 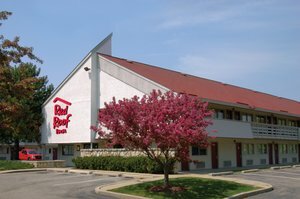 There is free car and truck parking. 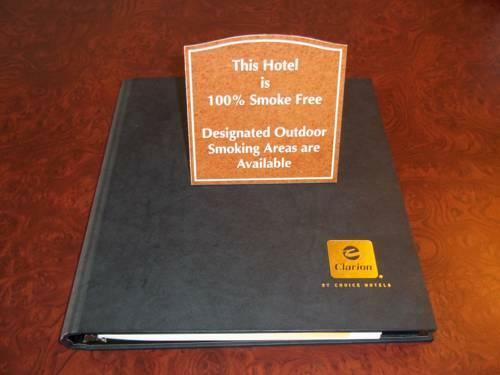 The Clarion provides free airport shuttle service. 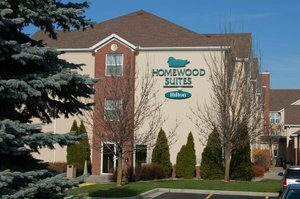 The Clarion Inn & Suites Grand Rapids is conveniently located just off I-96 within walking distance of several national chain restaurants. 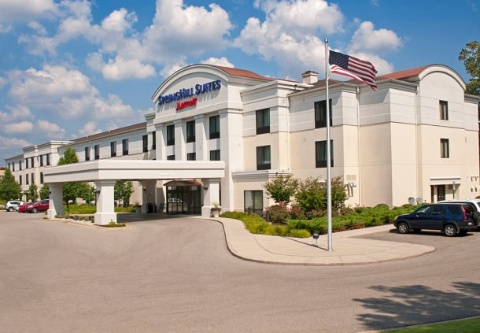 The hotel is 10 minutes from downtown Grand Rapids and 15 minutes from the DeVos Place Convention Center and Van Andel Arena. 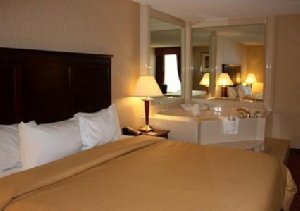 Fredrik Meijer Gardens and Sculpture Park is a 10-minute drive from the hotel. 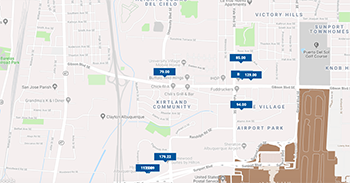 Gerald R. Ford International Airport is two miles away. 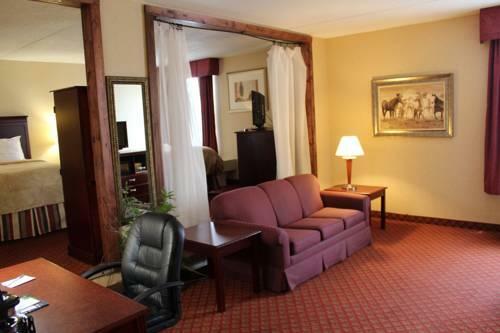 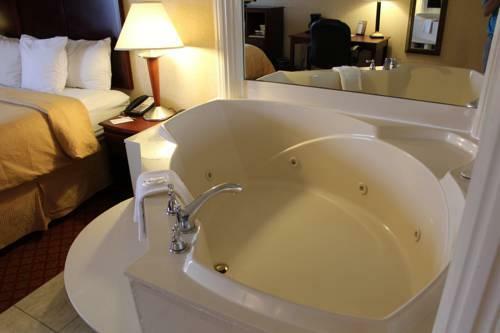 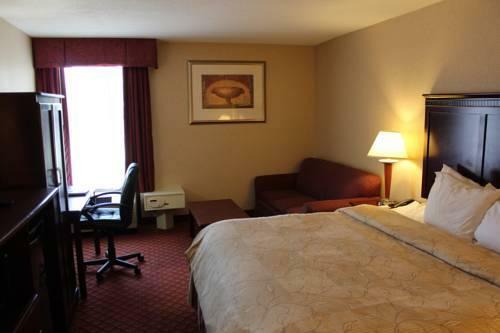 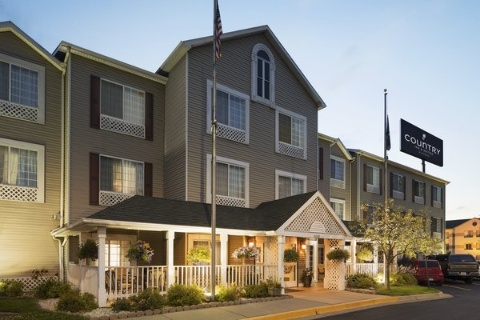 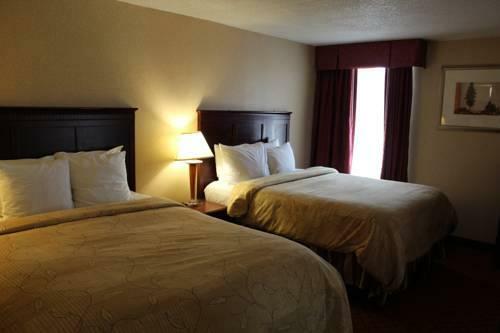 Traditional hospitality that you would look for in an inn and modern functionality that you would expect in the 21st century add up to a sweet deal at the affordable Clarion Inn & Suites Grand Rapids.